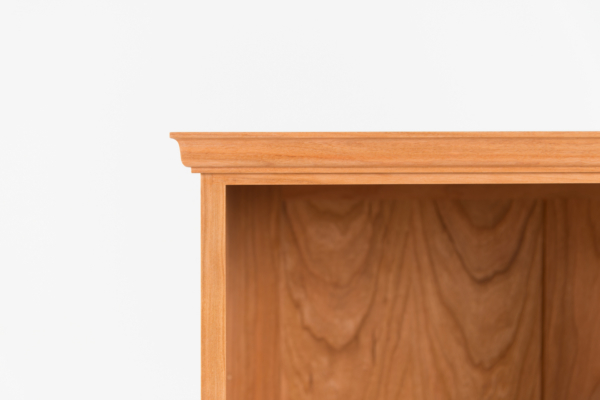 Atmospheric changes can cause solid wood to warp or crack, but the extensive joinery in the Vertical Bookcase resolves this conundrum. Handmade with traditional, precise joinery, this bookcase accounts for the trials of wood’s expansion and contraction, resulting in a structure that retains its integrity throughout its long, reliable lifespan. 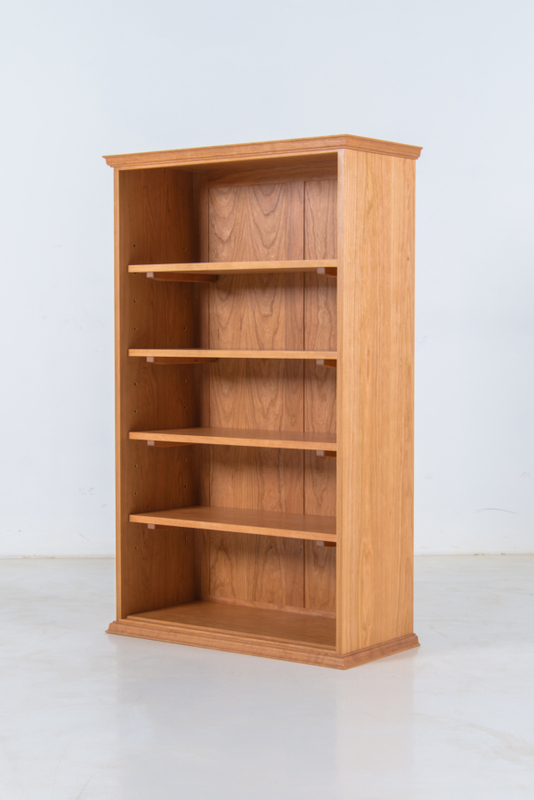 The bookcase is a solid, substantive structure, with a single plank forming the top and bottom shelves, and smaller cuts of hardwood forming its shelves. 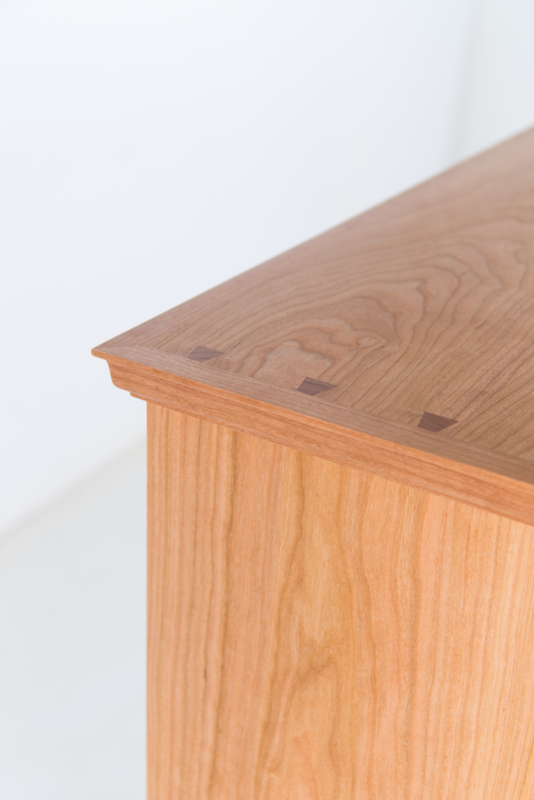 Inspired by classic American antecedents, its purpose informs its simple design, and our commitment to quality ensures a lifetime of use. 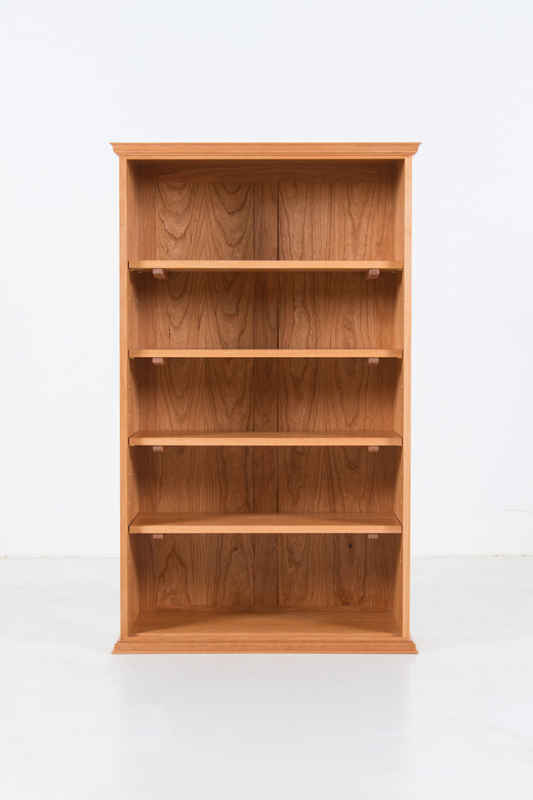 An assemblage of solid cherry or walnut planks, the Vertical Bookcase is a showcase for wood’s beauty. 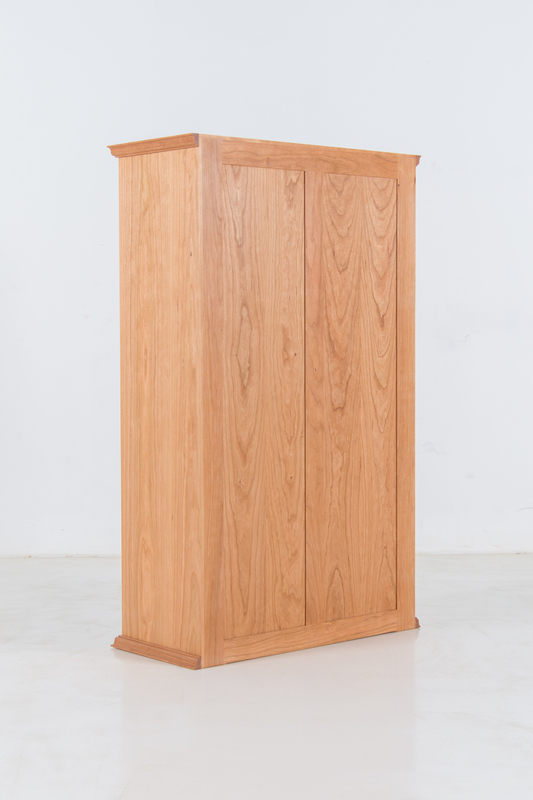 Both substantial and purposeful, the case employs a series of complex joints that accommodate seasonal expansion and contraction to preserve its integrity throughout decades of uninterrupted use. 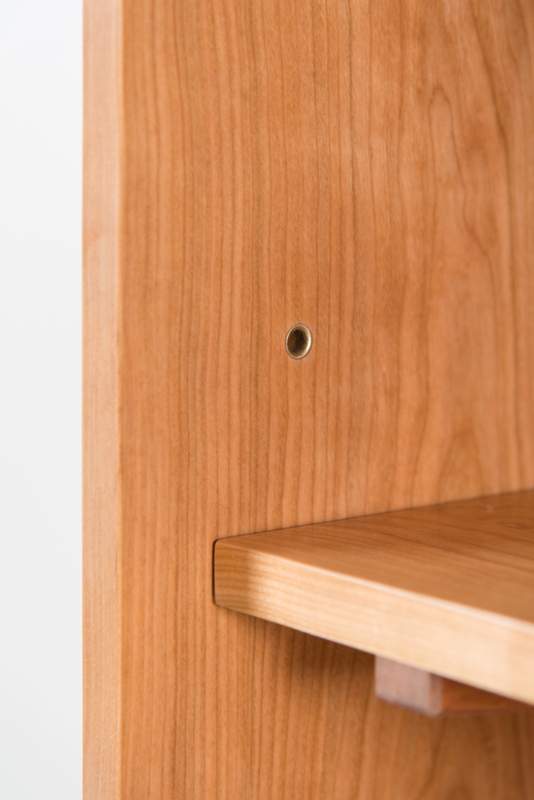 The bookcase is simple – featuring the judicious use of dimensional trim beneath the tabletop, and at its foot. 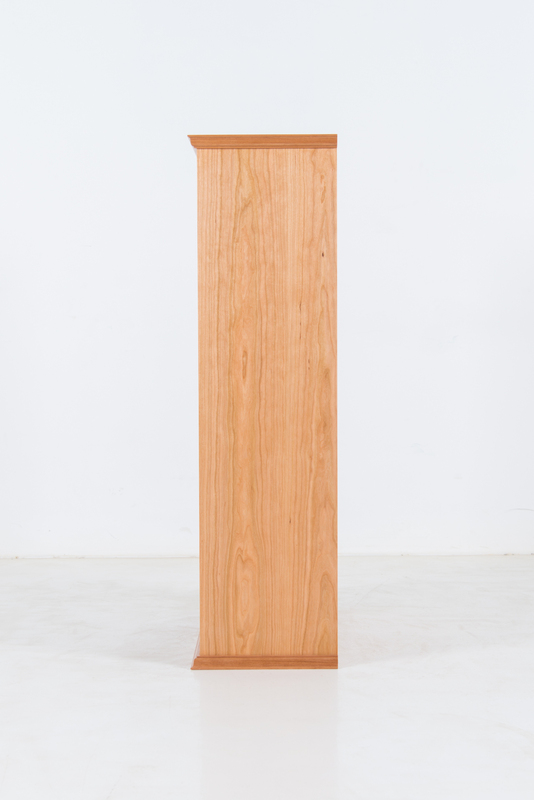 This is a furnishing designed to serve a need and it does so without fanfare. The Vertical Bookcase is equally suited for home or office and aligns beautifully with both contemporary and traditional interior themes. Whether situated in a living space, bedroom or office, its satisfying profile stands out, without clamoring for attention.